A hit-and-run driver who killed a cyclist on New Year’s Day 2015 has had his driving ban moved by top judges at the Court of Appeal in London. Luke Paul Headech, 26, collided with Jamie Murray on the A259 Grand Parade in the early hours of the morning on January 1. The 23-year-old from St Leonards was thrown almost 50 metres along the road, sustaining devastating injuries. Headech drove on, but was eventually identified and convicted of causing death by dangerous driving last May. He was sentenced to six years and three months at Lewes Crown Court and banned from driving for five years from the date of his release. But today, three senior judges said that was wrong and that the ban should start at the date Headech was sentenced. The judge said the problem arose because the crash happened before the law changed to allow drivers to be banned from the date of release. The appeal was lodged by a senior judge after the issue was highlighted. 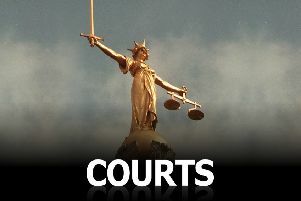 Headech, of Ninefield Road, Bexhill, will have to complete an extended re-test before he can drive again.